OK so what is this Geometric Algebra? It’s an alternative to linear algebra. Instead of matrices, there are multiple kinds of vectors, and there is a more powerful vector multiplication. Let’s start with vector multiplication. In linear algebra we know two ways to multiply vectors: The dot product (producing a scalar) and the cross product (producing a vector). Where the dot product works for any number of dimensions, and the cross product only works in 3D. Geometric algebra also uses the dot product, but it adds a new product, the wedge product: . The result of the wedge product is not a vector or a scalar, but a plane. Specifically it’s the plane spanned by the two vectors. This plane is called a bivector because it’s the result of the wedge product of two vectors. There is also a trivector which describes a volume. 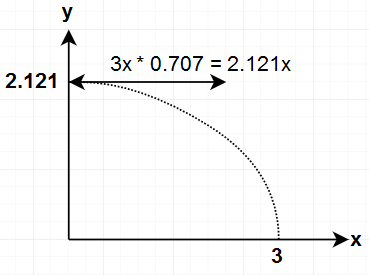 The general principle is that the wedge product increases the dimension of the vectors by one. Vectors (lines) turn into bivectors (planes), and bivectors turn into trivectors (volumes). When we do math in more than 3 dimensions, we can go even higher, but I’ll stick to 2D and 3D for this blog post. The first property will make sense when we talk about rotations. The second product should already make sense if we just think of a bivector as a plane. There is no plane between a vector and itself, so it’s 0. The result of the dot product is a scalar, and the result of the wedge product is a bivector. So how do we add a scalar to a bivector? We don’t, we just leave them as is. It works the same way as when adding polynomials or when adding apples and oranges or when working with complex numbers: . We just leave both terms. Note that usually I will leave out the star and just write . So when multiplying the basis vectors with each other, either the dot product or the wedge product is zero. We are left only with one of the two. All other vectors can be expressed using the basis vectors. So the vector can also be written as and I will use the second notation more often, because it makes multiplication easier. because , so the scalar part is zero, and can write the wedge product of basis-vectors shorter as . This short-hand notation is only valid for vectors which are orthogonal to each other. So as promised the result of multiplying two vectors is a scalar ( ) and a bivector ( ). A sum of different components like this is called a multivector. When doing these multiplications you quickly notice that just as all vectors can be represented as combinations of , and , all bivectors can be represented as combinations of , and . So I’ll just use these as my basis-bivectors. We could make different choices here, for example we could use instead of but I like how the bivectors circle around like that. The choice of bivectors doesn’t really matter, just as the choice of basis-vectors doesn’t really matter. We could for example have also chosen , and as our basis vectors. All the math works out the same, we just get different signs in a few places. We’re almost finished with our introduction to geometric algebra, so I need to mention one final important property: vector multiplication is associative. Meaning so we can choose which multiplication we want to do first. OK with that we’re finished with the introduction, but I want to practice a few more multiplications so that you get the hang of it. Maybe do a few yourself. It takes a couple minutes, but then you have the rules ingrained into muscle memory. This practice section is optional though. Let’s do some practice runs to build up an intuition for how these vectors and bivectors behave. You can skip this section entirely if you don’t care about geometric algebra and just want to get to rotations. 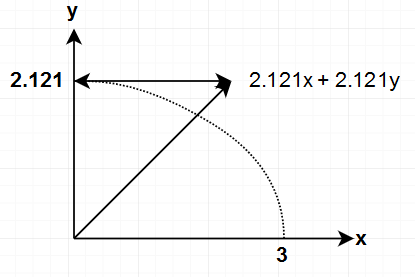 What happens if we multiply two similar bivectors? So what I did there is I used to re-order the basis-elements. Then everything collapses down because . So what we see here is that the dot product of a bivector is a negative number. Isn’t that interesting? In particular if we have a bivector of length 1 and multiply it with itself: we see that . Remember how in quaternions there are these three components , and which have ? We’re going to be using the bivectors for that. However it just so happens that the bivector is a mathematical construct whose square is -1. That does not mean that it is the result of . I could build any number of mathematical constructs that square to -1, (for example trivectors also square to minus one) that doesn’t mean that they are all the square root of -1. How many square roots is -1 supposed to have? Getting the hang of it yet? It’s all about re-ordering components until things collapse. So this is a scalar ( ) plus quite a complicated bivector ( ). What happens if we multiply across dimension. Like multiplying a vector with a bivector? We notice that after four multiplications we are back at the original vector . So every multiplication with a bivector rotates by 90 degrees. If we multiply on the left side instead of multiplying on the right side, we would rotate in the other direction. What if we multiply the plane with a vector that’s orthogonal to it? Well that’s disappointing, we just get the trivector. What if we multiply the trivector with the plane? Which is the normal of the original plane. 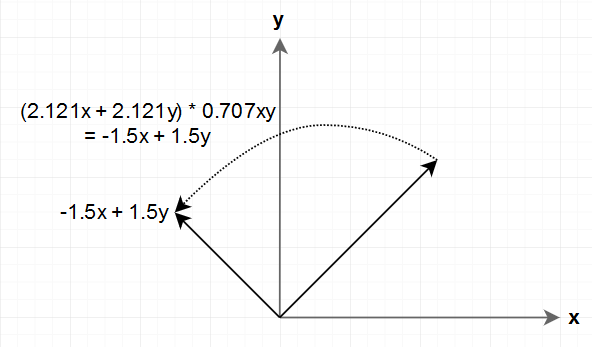 What if we multiply a vector with the trivector? And with that we’re back at the original plane. Almost. The sign got flipped. If we had multiplied by we would have been back at the original plane. So multiplying with the trivector turns planes into normals and normals into planes, because the other dimensions collapse out. This also allows us to define the cross product in geometric algebra: . So first we build a plane by doing the wedge product, then we get the normal by multiplying with the trivector. If you went through the practice chapter you will have already seen places where geometric algebra does rotations: bivectors rotate vectors on their plane by 90 degrees. It’s not quite clear how we can build arbitrary rotations with that though. One thing that’s a little bit easier to do is reflections, and we will see that we can get from reflections to rotations. The important step is that , allowing us to re-order the elements until we’re left with which is just 1, as long as is normalized. The reflections above look kinda like rotations. In fact if all we want to do is rotate a single vector, we can always do that with a reflection. The problem is if we want to rotate multiple vectors, like in a 3d model, then the rotated model would be a mirror version of the original model. So in this picture I am reflecting on the vector , which is half-way between and , landing us at . 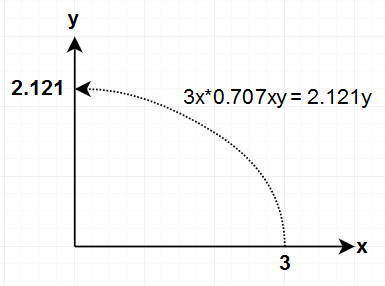 To get from to we just have to do a second reflection with the vector itself. (which is a bit weird, but if you follow the equations it works out) Given that is one reflection, is two reflections. First we reflect on , then we reflect on . Then the rotation is written as (where you could work out by multiplying out the other side, or you can just flip the sign on the bivector parts of ), and the inverse is written as . And just like that we have quaternions. How? Where? I hear you asking. That part in the last equation is a quaternion. If you multiply it all out, you will find that all the vector parts and trivector parts collapse to 0, and you’re just left with the scalar part and the bivector coefficients. And it just so happens that if you have a multivector which consists of only a scalar and the bivectors, multiplication behaves exactly like multiplication of quaternions. Now isn’t that interesting? All we did was we did the math for reflections, and if we do two of those we get quaternions? No imaginary numbers, no fourth dimension, just 3d vector math. All we had to do was introduce that wedge product . And you’ll notice that the way we apply , by doing looks an awful lot like how we multiply quaternions with vectors. To multiply a quaternion with a vector we do . Seems to work so far. But I actually don’t fulfill the equation because for me . I could fix that by choosing a different set of basis-bivectors. For example if I chose , and , then this would work out because . But I kinda like my choice of basis vectors and all the rotations work out the same way. If this bothers you, just choose different basis bivectors. Also we didn’t specify what we are rotating. We assumed that it was a vector, but we never required that. So this can rotate bivectors and it can rotate other quaternions. Maybe one of these has some interesting conclusions. Before that I want to kill the 4D interpretation properly: There are two reasons why people say quaternions are 4D: The fact that quaternions have four numbers, and the fact that quaternions have double cover. I’ll talk about the double cover separately later, but here I briefly want to talk about the four numbers thing. There are lots of 3D constructs that have more than three numbers. For example a plane equation has four numbers: . Or if we want to do rotations using matrices in 3D, we need a 3×3 matrix. That’s 9 numbers. But nobody would ever suggest that we should think of a rotation matrix as a 9 dimensional hyper-cube with rounded edges of radius 3. So don’t think of quaternions as a 4 dimensional hypersphere of radius 1. Yes, there are some useful conclusions to draw from that interpretation (for example it explains why we have to use slerp instead of lerp) but it’s such a weird interpretation that it should come up very rarely. 1. Interpreting quaternions as two reflections. I couldn’t get much useful out of this. The first reflection is always on the vector half-way between the start of the rotation and the end of the rotation. The second reflection is always on the end of the rotation. I’ve played around with visualizing that, but the visualizations always looked predictable and didn’t offer any insights. 2. Interpreting quaternions as a scalar plus three bivectors. This interpretation on the other hand turned out to be a goldmine. Not only can you get an intuitive feeling for how this behaves, you can also get visualizations from this. This interpretation also allowed me to get rid of the double cover of quaternions. So even though we have derived quaternions using reflections above, I will actually spend the rest of the blog post talking about quaternions as scalars and bivectors. A quaternion is made up of a scalar and three bivectors. We all know what a scalar does: Multiplying with a scalar makes a vector longer or shorter. I said above that multiplying with a bivector rotates a vector by 90 degrees on the plane of the bivector. So how can we build up all possible rotations if all we have is a scalar and three rotations of exactly 90 degrees? The answer is that a bivector actually does slightly more: It rotates by 90 degrees, and then scales the vector. These are the bivectors (bottom), (middle) and (top). It’s a 90 degree rotation followed by a scale. I find this visualization particularly useful when chaining a bunch of operations together. So the bivector is a rotation by 90 degrees followed by a scale of 0.707. Which is the original vector rotated by 45 degrees. This way of visualizing makes it very clear that multiplication with a quaternion is just multiplication with a scalar and multiplication with a bivector. And this also shows how we got a 45 degree rotation, even though all we can do is 90 degree rotations followed by scaling. It also explains why we need the single scalar value, and why the three bivectors are not enough: We sometimes want to add some of the original vector back in to get the desired rotation. One thing to note is that in here I chose to do the bivector multiplication first, and the scalar multiplication second. But the choice is kinda arbitrary as both of these happen at the same time, and they don’t depend on each other. So once again this does a 90 degree rotation followed by a scale of 0.707. Which is exactly what we would expect after rotating by 45 degrees twice. I think these visualizations also explain how we can get arbitrary rotations: For bigger rotations we just have to make the scalar component smaller as the bivector component gets bigger. So far we have only looked at the xy plane. To visualize this in 3D, I wrote a small program in Unity that can do the above visualization for all three bivectors. Here is what that looks like for rotating from the vector to the vector . That gives me the particularly nice quaternion . So I want to rotate from the vector on the left to the vector on the right. So this bivector is rotating on the xy plane. It takes the end point of the vector and rotates it 90 degrees down on the xy plane. It may be a bit hard to see, but imagine all the yellow lines lying on a xy plane. This took the end point of the original vector, and rotated it by 90 degrees on the zx plane. Then it scaled the result by 0.5, giving us the new vector (the end of the purple plane). The reason why the purple plane is floating above the other planes is an artifact of my visualization: I start at the end point and then I only move on the zx plane, so I end up floating above everything else. I also added this to our result vector at the bottom there. So the rotation happened by doing three bivector multiplications and one scalar multiplication and adding all the results up. Once again I want to point out that the order in which I added these up is arbitrary. All of these multiplications happen at the same time and don’t depend on each other, since they all just use the original vector as input. I chose to do this in the order xy, yz, zx, scalar, because that gave me a nice visualization. I wanted to make the above visualization available for you to play with. I thought I could be really cool and upload a webgl version so that you can just play with it in your browser. So I built a webgl version, but then I found out that I can’t upload that to my wordpress account. So… I just put it in a zip file which you have to download and then open locally… Here it is. So we rotate on this shared plane, then scale by 0.866, and finally add the original vector scaled by 0.5. This visualization as a single 90 degree rotation by the sum-bivector is equally valid as the visualization of the component bivectors. 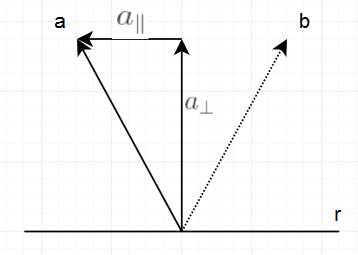 Just as we can visualize vectors either by their components, or as one line, we can visualize bivectors either by their components or as a single plane. That finishes the part about visualization. As far as I know this is the first quaternion visualization that doesn’t try to visualize them as 4D constructs, and I think that really helps. Every component now has a distinct meaning and a picture. And we can see how the behavior of the whole quaternion is a sum of the behavior of its components. One quick aside I want to make is that sometimes people say that quaternions are related to the axis/angle representation of rotations. That is a good way to get people started with quaternions, but then it breaks down relatively quickly because the equations don’t make sense and the numbers behave weirdly. The scalar & bivector interpretation is actually related to the axis/angle interpretation, and it explains what’s really going on here. Because when I say that something rotates 90 degrees on a plane, we can also say that it rotates 90 degrees around the normal of the plane. So in this interpretation quaternions first: rotate 90 degrees around the normal, followed by being scaled down, and second: multiply the original vector times a scalar and add that. It’s not quite axis/angle, but we can see how it’s related and why the axis/angle interpretation sometimes seems to work. At first I responded that I hadn’t gotten to that part yet, but as I was working on this, the double cover just never came up. So eventually I decided to go looking for it, and… I couldn’t find it. It seemed like my quaternions didn’t have double cover. So I double checked everything and noticed that I have one difference: Remember how in order to multiply a quaternion with a vector we did this multiplication: . I accidentally didn’t do that. I just did . So now the part that’s on the plane (the component) got rotated, but the part that’s not on the plane (the component) was left unchanged. This is exactly what we want. But look at what happened: The first rotation was a 90 degree rotation and the part that’s on the plane ended up at . And now we did a full 180 degree rotation and that part ended up at . How did that happen? Well it actually makes sense. We are multiplying with the quaternion twice after all. Of course it would do a double rotation. It’s clearest if you multiply it all out, but the short explanation is that the conjugate allows us to rotate roughly in the same direction while multiplying from the other side: , and we went ahead and just multiplied on both sides . So if we multiply on both sides of course we get twice the rotation. This is literally where the half-angles of quaternions and the double cover come from: From the way we multiply quaternions with vectors. Internally quaternions actually don’t have double cover. If you multiply one 90 degree quaternion with a different quaternion, then after four rotations that second quaternion will end up exactly where it started. But then we chose a vector multiplication function that applies the quaternion twice. So we have to change the interpretation and that 90 degree quaternion becomes a 180 degree quaternion. And actually my visualizations above don’t make sense any more because the vector multiplication always does that operation twice. So if the vector multiplication is the problem, could we define a vector multiplication that doesn’t lead to double cover? That would make quaternions much simpler. So now we only have to do a single multiplication instead of two multiplications. And since all other operations are fast, this might even be faster than the double-cover-giving quaternion/vector multiplication. And yes, this totally works and it’s faster and it’s less confusing. But you don’t want to use it. The reason is that as soon as I didn’t have double cover in my quaternions, I discovered why double cover is actually awesome. Double cover is what makes quaternion interpolation so great. (by interpolation I mean getting from rotation a to rotation b in multiple small steps as opposed to one large step) Without double cover, there are some quaternions that you can not interpolate between. Having to worry about those special cases makes interpolation a giant pain and defeats the whole point of why we used quaternions to begin with. If we interpreted these two numbers as vectors, the double cover version would do a 45 degree rotations of the vector each time. But since the double cover quaternion will rotate twice, this will actually give us a 90 degree rotation from one row to the next. I drew the double cover as two lines, and the single cover as one line. Once again we see that a quaternion that uses double cover rotation is simply half-way towards the quaternion that uses single cover rotation. For single cover: and after normalization that comes out to be which is a 45 degree rotation. For double cover: and after normalization that comes out to be , which is a 22.5 degree rotation, or with the double cover it’s a 45 degree rotation. So interpolating a 90 degree rotation works just fine in both cases. For single cover: . Huh. We can’t find the half-way rotation between these two because we just get 0, which we can’t normalize. You may think that this is just a problem because I chose to find the exact midpoint between these two vectors. But this is also a problem if we want to slerp from one to the other. It all collapses and we’re left with a zero vector. So let’s reason through this manually. How would we interpolate from +1 to -1? 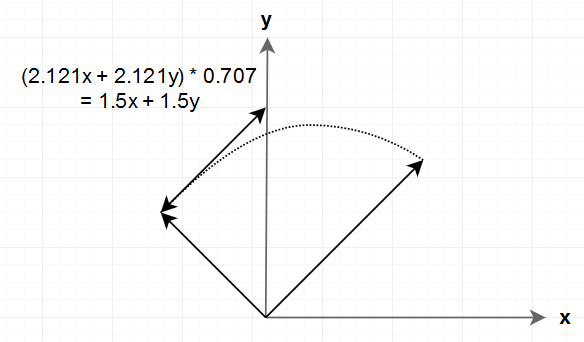 We could rotate on the xy plane or on the yz plane or on the zx plane, or on any combined bivector. How do we know which bivector to choose? They’re all zero in both of our inputs. We’re missing information. In order to interpolate between two rotations, we need to know a plane on which we want to interpolate. Let’s see how the double cover solves this: and after normalization we’re left with which was our 90 degree rotation, which is exactly the half-way point between the 0 degree rotation and the 180 degree rotation. Isn’t that neat? In the double cover version one of our quaternions had a component, so we could interpolate on that plane. In fact you could build many possible 180 degree rotations in the double cover version. We could build a 180 degree rotation that rotates on the plane or on a linear combination of the and planes, or on any arbitrary plane. They all look different and they all interpolate differently. That’s a great property because we want to be able to interpolate on any plane of our choosing. In the single cover version however we only have one way to rotate 180 degrees and it looks the same no matter which plane you’re on. Which works fine if all you want to do is rotate 180 degrees, but it doesn’t work if you want to interpolate from one rotation to the other. One way of thinking of this is that the trick of double cover is that you can express any rotation as a rotation of less than 90 degrees. We already saw that if we want to go 180 degrees, we just go 90 degrees twice. Want to go 270 degrees? Just go -45 degrees twice. Like that we can always stay far away from the problem point of the 180 degree rotation that we would run into often if we used the single cover version of quaternions. And like that we always keep the information of which plane we are rotating on, making interpolation easy. Another way of thinking of this is that the double cover version always gives us a midpoint of the rotation which we can use to interpolate. For some pairs of rotations, there are a lot of possible midpoints depending on which plane we want to interpolate on. Double cover solves that problem by giving us one midpoint, which narrows our choices down to one plane. And we can derive any other desired interpolation if we have the midpoint. You may be wondering if there is a problem point where the double cover breaks down. Looking at the table above, we can find one: Rotating by 360 degrees: . Which we can not renormalize. But that case is easy to handle, and in fact every slerp implementation already handles this: We detect if the dot product of the quaternions is negative, and if it is we flip the target quaternion. So then we interpolate from to which is just a 0 degree rotation. Which is exactly what we wanted. So as long as we handle the “negative dot product” case in our interpolation function, we can handle all possible rotations. Because there are two possible ways to express every rotation, and if we run into one that’s inconvenient, we just switch to the other one. So I hope I have convinced you that you want to have double cover. It’s a neat trick that makes interpolation easy. Quaternions do not “naturally” have double cover, but the double cover comes from the way we define the vector multiplication. If we used a different algorithm to multiply a quaternion with a vector (I outlined one above) then we could get rid of the double cover, but we would be making interpolation more difficult. I actually think that the double cover trick is not unique to quaternions. I think we could also apply it to rotation matrices to make them easier to interpolate. I haven’t done the math for that though. So in summary I hope that I was able to make quaternions a whole lot less weird. The geometric algebra interpretation of quaternions shows us that they are normal 3D constructs, not weird four-dimensional beasts. They consist of a scalar and three bivectors. Bivectors do 90 degree rotations followed by scaling, and we saw how we can create any rotation just from those 90 degree rotations and linear scaling. The rules that govern these constructs are simple, making the equations easy to derive and understand. (as opposed to the quaternion equations which can only be memorized) Also quaternions do not naturally have a double cover. The double cover comes from the way we define the multiplication of vectors and quaternions. We could get rid of it, but the double cover is a great trick for making interpolations easier. Unfortunately this still only makes it slightly easier to understand the numbers in quaternion. The double cover makes it so that each rotation actually gets applied twice, so my visualizations above only show half of what’s going on. This also makes it difficult to interpret the numbers because you have to know what happens if a rotation gets applied twice, which is a whole lot harder to do in your head than doing a single rotation. But still I now have a picture of quaternions, and I know what each component means, and why they behave the way they do. I hope I was able to do something similar for you. I also think that Geometric Algebra is a very interesting field that merits further study. The fact that quaternions came out so naturally (in fact they almost don’t even need a special name) and that if we do the same derivation in 2D we end up with complex numbers is fascinating to me. The paper I linked at the beginning, Imaginary Numbers are not Real, spends a lot of time talking about how various equations in physics come out much simpler if we use geometric algebra instead of imaginary numbers and matrices. Simplicity like that is a good hint that there is something good going on here. If you’re interested in this for doing 3D math, there is something called Conformal Geometric Algebra which adds translation to quaternions. I didn’t look too much into it, but a brief glance shows that it might be related to dual quaternions. So there’s much more to discover. The cross product also works in 4D and up. Interesting, I didn’t know that. I can see how the geometric algebra version works in 4D. 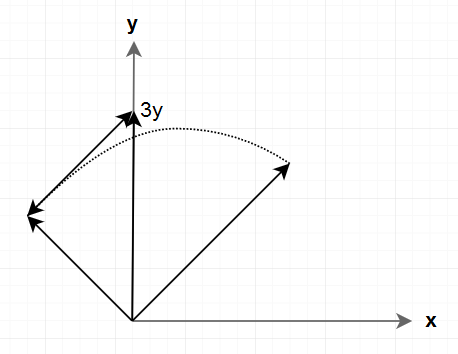 I think it would return a bivector (plane) instead of a vector. But I didn’t know that the normal cross product works in 4D. Can you elaborate? ioquatix is only half-right. The cross product that we know and love only works in 3D and 7D. It is only in these dimensions that the cross product results in a vector that is orthogonal to the others. 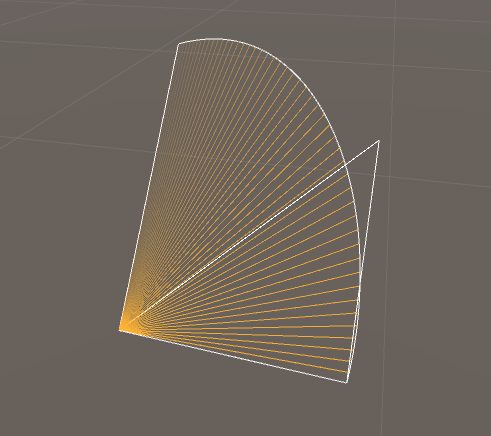 You “can” make something that looks like a cross product in other dimensions, but the result won’t be linearly independent to the vectors you started with. In general when talking about a quadratic space (a vector space with an associated quadratic form we use to “measure” vectors) we look at its signature and say if we were to diagonalize this quadratic form and with an appropriate change of basis, e.g. replacing Q with A^-1DA with D a diagonal matrix what would the signs of the things on the diagonal of D be? This gives us a signature of sorts R^(a,b,c) where a is the number of positive items on the diagonal and b is the number of negative items on the diagonal and c is the number of zeroes on the diagonal. Dual numbers (and hence dual quaternions) require a dimension that squares to 0. Dual quaternions live in R^(3,0,1). Adding an infinitesimal (dimension that squares to 0) is basically doing the same thing as automatic differentiation is doing. You can view dual quaternions equivalently as quaternions on dual numbers, or quaternion-valued dual numbers and it can be worthwhile to flip between those viewpoints. On the other hand, conformal GA is basically about adding dimensions that square to negative values and using them to enrich your geometric algebra to cover circles and spheres. Hi, About the Unity Web GL app, is there any reason why you don’t publish it to something like Github? It will have 2 advantages : People would be able to see the code for the maths and you can publish the app to Github pages removing the need to download and open a zip. Thank you so so much. You made my week. Brilliant write-up, I wish more research projects would be presented like this! If so, why not solve all the collapsing cases by some convention and stay single cover? The double cover special case at 360 degrees is very easy to handle. We just don’t rotate at all in that case. The special case at 180 degrees that we get with single cover is not at all easy to handle. The reason is that when we rotate exactly 180 degrees, we don’t know which plane we should rotate on. All we can see is that the new direction is exactly the other way. But there is an infinite number of planes that we could rotate on in order to get there. So let’s say that our convention is that for 180 degree rotations we always rotate on the xy plane. Then let’s say I’m rotating in 1 degree steps on the yz plane. At 179 degrees I get an almost-halfway rotation on the yz plane. But if I do 1 more degree, all of a sudden it rotates on an entirely different plane. Meaning it rotates around a different axis. So if all we have is a 180 degree rotation, there is no convention that can handle all possible rotations. So we would need a convention that says “detect if you’re going to get a 180 degree rotation, and if you do just fudge it a little so that you get a 179.999 degree rotation instead.” And that might work. But it’s going to be messy. So double cover makes our lives a lot easier here by moving the special case to a point that’s easy to handle: Just don’t rotate at all when you hit the special case. Please let me know what you think. I would like to implement rotations next.. Thanks for this nice introduction to 3D GA. If I may, there’s a great ressource that gradually introduces GA from the basics to the advanced stuff. It has helped me greatly to grasp the full power of this framework. Wow, that was fascinating! Thanks very much for the article. The only thing I didn’t get was how the second step of a rotation was to reflect -b in b, is that something you can reasonably visualise or do you just have to do the maths to figure out out? 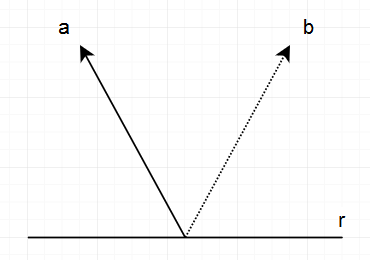 Where a ^ b is a plane that both a and b occupy. However, when I do this multiplication I actually get a quaternion that rotates from a to b. 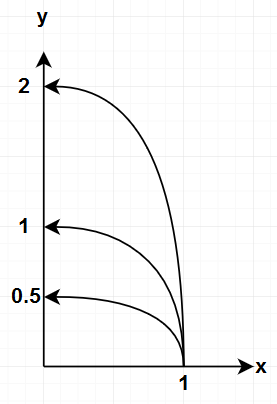 So the bivectors resulting from the wedge product seem to be scaled by sin theta. Is that meant to be the case? Thank you for very detailed and intuitive explanation of quaternions!